Archbishop Bernard Hebda says he is troubled by the Vatican's failure to conclude an investigation into allegations that former Archbishop John Nienstedt behaved inappropriately with young men. In a post on the archdiocese website, Hebda said that investigative materials were submitted to the Vatican in 2014, but the Vatican apparently halted any investigation of its own when Nienstedt resigned in 2015. "Thus, the matter remains unresolved for the accusers, for Archbishop Nienstedt and for the public," Hebda wrote. 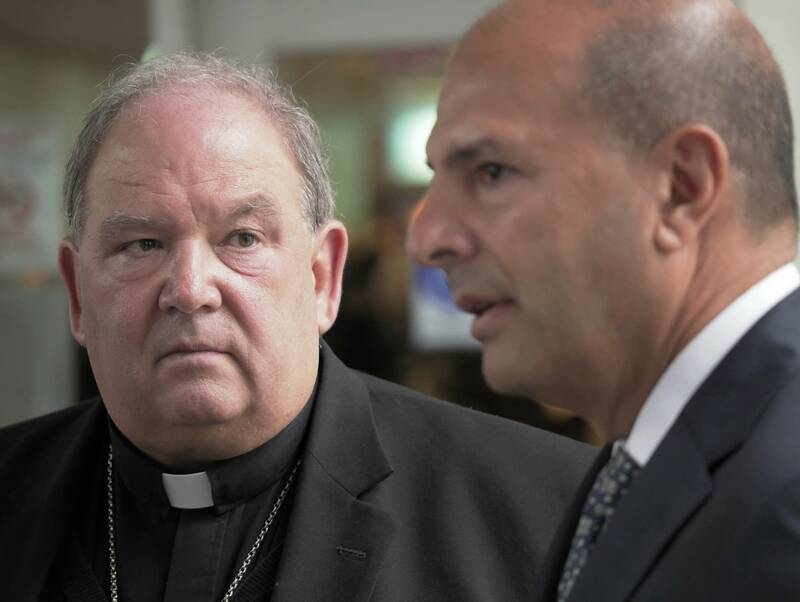 "I share the frustration that is felt by them, and believe this situation highlights the need for a better-defined process and independent mechanism to resolve allegations made against bishops." Hebda noted that there were later allegations that Nienstedt acted inappropriately with some boys in Germany in 2005, when Nienstedt was a bishop in New Ulm, Minn.
Hebda said that until the allegations are resolved, the former archbishop is prohibited from celebrating mass in the Twin Cities archdiocese. Hebda said he is not suggesting Nienstedt is guilty but "my hope is that this decision prompts further action by those with authority over Archbishop Nienstedt to resolve this question." The archbishop said he strongly favors the creation of a lay-led board to look into any allegations made against a bishop. In an e-mail response, Nienstedt said he welcomes an investigation and that it is church policy to remove a priest from public ministry during an investigation. He said he is not celebrating mass in the archdiocese. Nienstedt wrote that it is "difficult to defend myself because these allegations are of the 'he said, he said' nature." He added, "It is my word against the accusers and, as much as they seem to want to discredit me, I don't want to harm them. I am relieved, however, that Archbishop Hebda will be sharing the 2014 Archdiocesan investigation to an independent review board. I welcome an impartial look at the facts and the opportunity to defend myself."